DONALD TRUMP’S VICTORY IN the 2016 election was a political earthquake. It put an end to eight years of a left-wing presidency that divided the American people, eroded American sovereignty, diminished American power, and undermined a constitutional foundation that had made America prosperous and great. Before the election, conservatives were justifiably worried that America’s decline was reaching a point of no return. When the results came in, they breathed a sigh of relief. A long and arduous battle had been successfully concluded. With conservatives in control of the three branches of government, the groundwork was laid to restore the country to prosperity and health. Americans could roll up their sleeves and begin the hard work of restoring the nation to greatness again. There was truth in this feeling, but it was only a partial truth. To begin with, the election was narrowly won. Half the country had voted for a candidate who vowed to continue the Obama administration policies that had brought the nation to the brink. Half the country had voted for a candidate in favor of open borders, a candidate who willingly prosecuted the gender and racial wars of the political left. Half the country had voted for a candidate who viewed the Constitution as a changeable document, a candidate ready to appoint Supreme Court justices who believed its decisions should be based not on the law but on whether they achieved a progressive result. These emotional provocations reflect the passions of a left that would not be stilled by the election result or conciliatory gestures the new president had already made. Instead, they will be inflamed by every step Trump takes along the path to reviving a battered country and restoring its constitutional order. These are the angry voices of a political culture that is at war with America. Worse yet, this is the dominant culture in our universities, in our media, in our judiciary, in government unions, and in the shadow political universe of nonprofits, with billions of tax- free dollars at their disposal. The late Andrew Breitbart wisely observed that “politics is downstream from culture.” The culture wars conservatives have lost over the last half- century have transformed the Democratic Party into a party of the left and have led to the eight year tenure of a radical president. These are the wars that must still be fought and won if the election victory is to remain secure; these are the wars that must be fought and won to keep the country back from the brink. One battle is over, but there are many more to come. 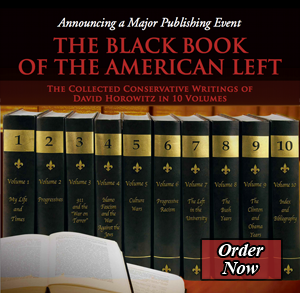 This book is a guide to fighting the opponents of the conservative restoration. It identifies who the adversaries are— their methods and their motivations. It describes their agenda— not merely the particular issues with which they advance their goal, but the destructive goal itself. And it lays out a strategy that can defeat them.